We may think that all diamonds are the same in value as long it looks big and sparkles a lot. We say that diamond lasts forever but its style may not. And since buying a diamond is considered an investment we should be aware of great significance not only on the quality of the stone but its shape as well.If you are in the market looking for the best stone for your engagement ring, you’ve probably encountered several shapes. But do you know that some shapes cost more than the other? How about its advantages and disadvantages? And why are those diamonds are cut in a certain way? The “Round Brilliant Cut” Diamond otherwise known as “Ideal Cut” is a round cut stone that is cut with perfect precision, thus, delivers a maximum fire and brilliance. 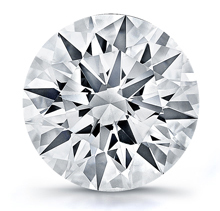 And such precise cut has become the standard to all diamond shapes. Round shape is the most regarded diamond shape used in a typically designed diamond ring to a unique engagement ring. This shape is commonly seen in diamond solitaire rings for proposal or anniversary rings and even used as accent stones. Round cut diamonds are usually more costly mainly because more weight is lost when a rough diamond undergoes the process of cutting. Round Cut diamond shape is usually composed of 58 facets including culet. There are 8 bezel facets, 1 tablet facet, 8 star facets, and 16 upper girdle facets at the upper section of diamond called “Crown”. The lower section called “Pavilion” has 16 lower girdle facets, 8 pavilion main facets, and 1 culet. In today’s notion about Round Brilliant Cut Diamond, it is said that this cut carries great inheritance from the “Old European Cut” Diamond Shape. An Emerald Cut Diamond is rectangular shape with cut corners also known as Emerald Brilliant Cut. If an emerald diamond is without cut corners it is called Rectangular Step Cut or Baguette. Emerald Shaped Diamond is likely to have inclusions (internal flaws that naturally characterize by a gemstone) which makes this shape difficult to cut and vulnerable to breaking. But “Emerald Cutting Process” was discovered reducing the risk of breakage. A typical emerald shape diamond has 57 facets where 25 facets are on the crown, 8 facets on the girdle, and 24 facets on the pavilion. Its facets are very broad with flat planes that resemble to steps of a staircase. 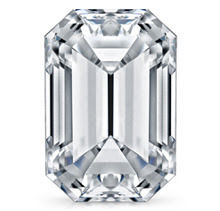 The Emerald Cut Diamond is not as fiery as other diamonds. It is no longer the way it used to be yet maintains its reputation to be very classic and elegant. If you are considering to purchase an emerald cut diamond, it highly recommended to get the highest grade you can afford which should be no lower than G color and VS clarity. The reason is that an emerald cut diamond is so transparent or “glassy” look where clarity imperfections, inferior color or poor cut will be visible to the naked eye than other diamond shapes. The good thing is its price is so affordable, much lower to other shapes. This way you put in your money on its quality and bigger size for an emerald. Radiant Cut Diamond is a combination of the traditional emerald cut shape with a brilliant cut. By combining these two cutting style, you will beneficially get “Brilliantized Step Cut” diamond shape. A radiant shape serves best for those who are attracted to the classically elegant emerald cut diamond but with more brilliant sparkle. The radiant cut diamond was discovered by Henry Grossbard in the year 1977. This shape was very popular in the past. It carries more facets (70) than a princess cut and has “cut corners” like an emerald. And because of cut corner look, most people identify this by mistake for cushion diamonds. What makes radiant shape differs with cushion is the depth percentages which are deeper due to the manner it is designed so as to achieve the maximum amount of light refraction. A radiant shaped diamond looks attractive in any type of diamond ring setting. A solitaire diamond ring, or matched with side stones like trillion cut diamonds, baguettes or princess cut side stones are commonly used. Radiant cut diamond must be set with special prongs in order to hold the center stone safely. The Princess Cut Diamond was developed by Basil Watermeyer of Johannesburg in 1963. 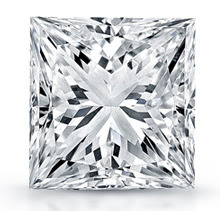 The Barion Cut Diamond is the close predecessor to the princess cut diamond. Nowadays, the demand for princess cut diamond is increasing due to its popularity. Why? Because princess cut diamond can compete with round cut diamond in terms of brilliance. This shape is also good in covering imperfections due to the way it’s cut. This shape can go with any type of diamond ring including solitaire diamond rings, and can serve as beautiful accents. Some of the gorgeous engagement rings found in most jewelry stores consist of princess cut diamonds mixed with baguettes instead round cut diamonds and baguettes. This style is a good choice if you want to have a unique engagement ring than a common tiffany style. Princess Cut Diamonds are usually square in shape, but can also be rectangular. Another advantage on having this shape is that since this is good in hiding inclusions, you can get a lower color and clarity grades and would still look better than most other diamond shapes. 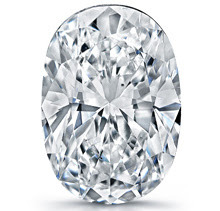 The Oval Cut Diamond is an elongated version belonging to the category of round cut diamond . The shape has 55-56 facets, 33 on the crown and 22 on the pavilion. 1.5 to 1 is the ideal length to width ratio which will look perfectly in a ring setting. Unlike round cut diamond, oval shape in not popular but very flexible as it will look stunning in a traditional solitaire setting. Also, an oval looks bigger than other diamond shapes of the same carat weight. The creator of the oval shaped diamond was Lazare Kaplan in early 1960’s. “Koh-I-Noor” also called “Mountain of Light” is highly regarded oval shaped diamond that was found in India. There was an old belief on this particular diamond that it brings bad luck to any man who possesses it and good luck to any woman who owns it. This diamond was given to Queen Victoria in 1851 who had it re-cut after her dissatisfaction of its brilliance with supervision of Prince Albert. 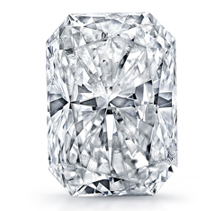 From 186 1/16th carats, 42% was shaved off bringing the stone to 105.602 carats. Still, the diamond showed less brilliance so this Koh-I-Noor diamond was simply mounted in a tiara together with more than 2,000 other stones. The Marquise Cut Diamond shape is magnificent, elongated shape with tapering points on both ends. A traditional marquise cut diamond has 55 facets where 33 facets are on the crown and 22 facets are on the pavilion of the diamond. 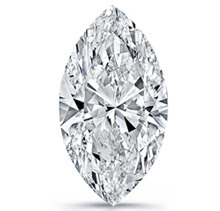 The name Marquise cut is said to be derived after a powerful patronage of the arts and literature during the 17th century, Marquis of Pompadour. The ratio recommended for a marquise diamond should be 2 to 1.0 which means that the length is about twice longer that it’s width. But personal preference still matters. One may want a marquise with wider and shorter ratio or thinner and longer ratio. But always consider a good symmetry which is brighter and more beautiful diamond. A Marquise Cut Diamond will look regal in a solitaire diamond ring, and will work perfectly in a diamond ring with accent diamonds such as baguette and trillion diamonds. The Pear Shaped Diamond is very gorgeous and extra-ordinary diamond shape, rounded on the one end and tapering point at the other. I t looks like a tear drop. 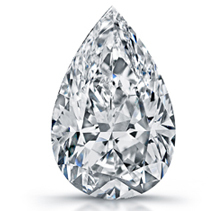 Pear shape looks best as a center diamond but also used as side stones. It is not as good as baguette diamonds for an accent diamonds. And this shape is also used for Drop Earrings which will definitely show a beautiful effect. Recommended 1.5 to 1.0 with 56 facets. It is very significant to have a good symmetry on this shape to make sure that the light would pass through perfectly especially in the point of the diamond. Special type of setting is needed for this shape where 2 prongs will hold the rounded part, 2 will hold the curved part of the diamond, and 1 prong will have to be “V” tip to hold and secure the pointed part. A very famous pear shape was discovered known as “The Star of South Africa”. It weighs 47.69 carats and is credited with the development achieved in South Africa. This diamond was found by a shepherd boy by the name of Griqua in 1869. It was told that a person named Schalk van Niekerk bought out the diamond from the shepherd boy for 500 sheep, 10 oxen and a horse. And even though these animals were all his possessions he was able to sell the rough diamond for $56,000.00!!! Heart Shaped Diamond is preferred more by men than women. As the shape itself shows , this is considered as very romantic diamond. This is closed to Pear shaped diamond but has cleft in the rounded end that creates an image of a heart. Setting for a heart shape is similar to a pear shaped diamond that must have 5 prongs where 2 prongs hold the lobes, 2 prongs are placed on the sides, and 1 “V” shaped prong at the pointed part of the heart to protect the most vulnerable part of the diamond. The “Blue Heart Diamond” is one of the most famous heart shaped diamond which is extremely rare deep blue color and weighs 30.82 metric carats. This diamond is also called “Eugenie Blue”. A French diamond cutting firm from Paris, Atanik Ekyanan, cut heart shaped diamonds from 1909 to 1910. 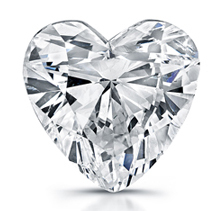 Year 1959 when Harry Winston purchased the heart shaped diamond and sold it after 5 years to Marjorie Merriweather Post. Then the latter donated the diamond to the Smithsonian Institute where the diamond still resides today. VISIT LOS ANGELES DIAMOND SELLER TODAY, TO EXPERIENCE OUR WIDE VARIETY OF EXQUISITE DIAMONDS.